Fast Food – Food Fast. I’ve not been lounging about on these pages for a while. I’ve been writing, reading and dieting and to be frank, they don’t mix. I’m on the 5:2 fast diet since I thought it was about time I joined in a craze. Probably thousands of you are doing the same. 500 calories is not a lot but I can scrape by on it. I find it impossible to write because I feel so miserable and weak on the fast days. So far in three weeks I have lost 8 lbs. I have realised something important. I now see that on a normal day I graze so much that if I caught the eye of a farmer he’d put a tag in my ear and pull me in for milking. All the same, today is a big eat day. Oooh – steak and kidney pie with chips! That’s what I call a diet. Tomorrow is an anchovy fillet and a carrot baton for lunch followed by an air kiss and a glass of water for dinner. Talking of air kisses let me just say that a certain amount of gas can arise…….oooh – I don’t want to think about it. To be fair, my impression is that this regime does work. If you’re on it too please let me know your experiences. Far more pleasure has flowed from my reading “Never Alone” by Linn Halton (Amazon.com) (Amazon UK). I’ve posted my review and you can see it below. Until I read “Never Alone” I had never considered that what we call paranormal might in fact be more normal than our conditioned tendency to ignore what we call intuition. At first Holly and her partner Will have a beautiful and successful life. Holly’s encounter with a mysterious supernatural entity poses a problem in their lives far beyond the trauma of the incident itself. She is forced to examine her values and her own true character. She finds a new companionship with with a completely different group of people who appreciate her mysterious talent for spiritual consciousness. She begins to see the flaws in her life of materialistic ambition. Understandably, her new behaviour perplexes those around her and conflicts multiply as the action proceeds. Finally, of course she makes choices whilst the narrative explores her reconciliation with the idea of contact with “the other side” as a natural part of her life. Just at the point where you can see the story playing out to a predictable outcome based on what you thought you understood – it doesn’t! This is a good well paced read. The characters are believable and very much of our current times. The author has a light touch which makes the book very easy to read. I enjoyed “Never Alone” and for me it merits a five star rating. Emma Thinx: Too much moral fibre can blow your mind. This entry was posted in 5:2 diet, book review, Fast Diet, Linn Halton, Never Alone, weight loss by emmacalin. Bookmark the permalink. Hi Emma – I sounds like you are doing great and I do think that as you adapt to the fasting days your hunger pains might lessen. That said, I find eating healthier is so much easier when the weather is warmer. I must admit that I'm very lucky that I don't and never have had to watch my weight – but I firmly believe that it's because I've always done the 5:2 thing – in fact it's more like a 4:3 thing – and it comes naturally to me to feel hungry on some days (so I eat lots and I eat whatever I want) and on other days I listen to my body and I eat very little. I do always drink lots of water and I 'power walk' three times a week. I'm not being smug about this – please don't think that – I'm just saying that this 'diet' as everyone seems to be calling it – works if it becomes a way of life. Good luck and enjoy your pie and chips – I quite fancy fish and chips for dinner tonight! 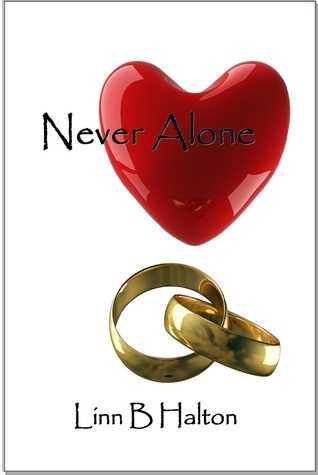 Fab review for Never Alone – it's next on my Kindle! Hi Emma, this is terrible, my o my, on a diet! I hate diets, I inevitably grow fat on them…What happened to your leg? Don't tell me it's broken! !